Why not maglev or hyperloop? 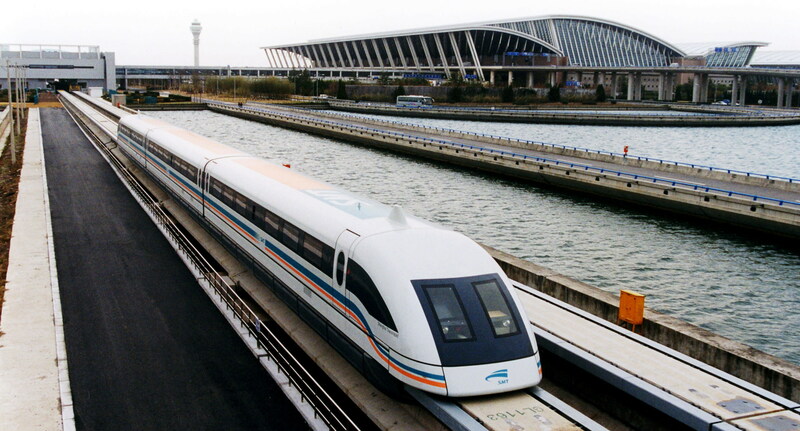 China built a short maglev line to the Shanghai airport to test the feasibility of the technology for longer trips. The result? They're sticking with traditional high-speed rail technology. The vast majority of high-speed rail systems around the world use conventional "steel wheel on steel rail" technology. This is the same basic concept that the world's first machine-powered railroad used in 1830. Since then, we've moved from steam to diesel to electric power. We've made curves and slopes more gentle, introduced advanced signaling systems and found other ways to improve safety, reliability and speed. But like 1830's Liverpool and Manchester railway, modern high-speed rail still rolls on two rails that are 4 feet, 8 and a half inches (1.435 m) apart. This doesn't mean the world hasn't tried other technologies. Since the beginning of the 20th century, magnetic levigation, or maglev, has perpetually been "the future" of rail. More than 100 years have passed since the first patents were issued, and maglev has yet to prove itself reliable or effective. The challenges in designing a functional maglev system seem to outweigh the potential benefits. China inaugurated the world's fastest commercial maglev line in 2004, connecting the Shanghai airport to the city's outskirts, where one must then transfer to the metro to continue to the city center or main rail station. The line was intended to be a test for a 105 mi (169 km) line from Shanghai to Hangzhou. After evaluating the airport line's high construction and operating costs, China opted to build the link to Hangzhou in 2010 using traditional high-speed rail technology. Hyperloop is an evolution of maglev that operates inside an airless tube, similar to the machine that shuttles items back and forth at a bank drive-through. Los Angeles to San Francisco in 30 minutes may sound appealing, but you have to do it strapped into a reclined seat in a windowless cylinder. Forget about seeing the scenery or going to the bathroom. Production of a full-scale, working hyperloop model is taking longer and costing more than expected. Transportation experts have also noted that hyperloop backers have wildly underestimated the costs of right-of-way acquisition, construction and operating. Beyond technical or financial snafus, the single biggest weakness of systems like maglev and hyperloop is that they can't take advantage of the vast network of railroads that already crisscross our country. They can't access the stations that are already nestled among the skyscrapers in our downtowns or on our small-town main streets. Around the world, successful high-speed rail systems are extentions and additions to existing railroad networks, which maglev or hyperloop simply cannot be.